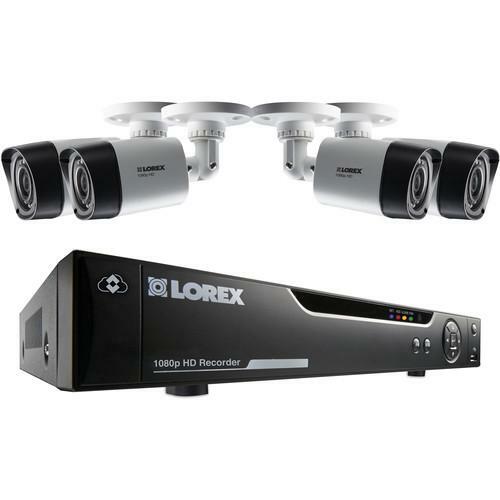 We recommend checking out our discussion threads on the Lorex by FLIR 8-Channel 1080p DVR with 1TB HDD and LHV21081TC4B, which address similar problems with connecting and setting up Surveillance Kits Lorex by FLIR. 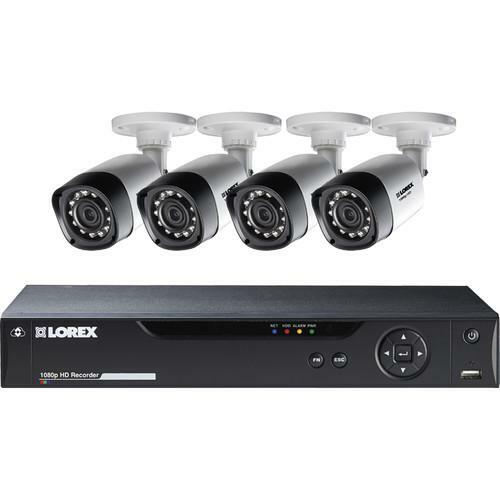 The user manual for the Lorex by FLIR 8-Channel 1080p DVR with 1TB HDD and LHV21081TC4B provides necessary instructions for the proper use of the product Surveillance - Surveillance Video - Surveillance Kits. 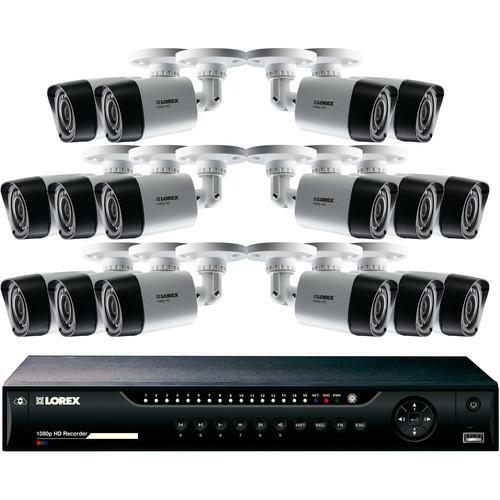 Record HD analog surveillance footage using the 8-Channel 1080p DVR with 1TB HDD from Lorex. Recording in 1080p at 15 fps on all 8-channels, the DVR provides live streaming and playback options, allowing you to keep an eye on all the cameras simultaneously. With 1TB of included storage space, and the option to expand up to 4TB, the DVR is capable of storing your footage 24/7. For backup storage options, two USB ports are located on the DVR for easy storage removal and transferring to other HDDs. HDMi and VGA ports allow you to connect two viewing monitors for live viewing or playback options. Motion detection and scheduled recording can be arranged for conserving storage space and bandwidth. View your footage remotely on a PC, Mac, or mobile device using the Flir Cloud Storage application. With push notifications, instant email notifications, and time stamps, you can stay informed of every monitored move. The DVR includes 4 1080p bullet cameras which feature HD resolution recording and a 3.6mm fixed lens. With night vision up to 90' away and a 70° horizontal field of view, the cameras provide detailed footage viewable using the DVR. 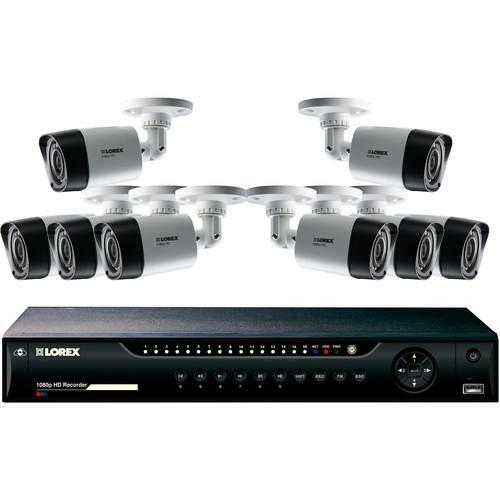 Connected to the DVR using BNC cabling and featuring IP66-rated housings, the cameras are designed for easy installation and can be utilized for indoor or outdoor use. If you own a Lorex by FLIR surveillance kits and have a user manual in electronic form, you can upload it to this website using the link on the right side of the screen. Box Dimensions (LxWxH) 15.354 x 14.488 x 8.504"
The user manual for the Lorex by FLIR 8-Channel 1080p DVR with 1TB HDD and LHV21081TC4B can be downloaded in .pdf format if it did not come with your new surveillance kits, although the seller is required to supply one. It is also quite common that customers throw out the user manual with the box, or put the CD away somewhere and then can’t find it. That’s why we and other Lorex by FLIR users keep a unique electronic library for Lorex by FLIR surveillance kitss, where you can use our link to download the user manual for the Lorex by FLIR 8-Channel 1080p DVR with 1TB HDD and LHV21081TC4B. The user manual lists all of the functions of the Lorex by FLIR 8-Channel 1080p DVR with 1TB HDD and LHV21081TC4B, all the basic and advanced features and tells you how to use the surveillance kits. The manual also provides troubleshooting for common problems. Even greater detail is provided by the service manual, which is not typically shipped with the product, but which can often be downloaded from Lorex by FLIR service. If you want to help expand our database, you can upload a link to this website to download a user manual or service manual, ideally in .pdf format. These pages are created by you – users of the Lorex by FLIR 8-Channel 1080p DVR with 1TB HDD and LHV21081TC4B. User manuals are also available on the Lorex by FLIR website under Surveillance - Surveillance Video - Surveillance Kits. Looking for manual for Lorex 1080p HD MPX DVR. The manual did not come with the system. I am trying to find the user manual for the lorex 4 channel 1080p system,According to you the seller is required to supply one but there was nothing in the box.Then on your website there is no clear indication as to where to download it from ,you have a lot of advertisement that will direct you to different websites,Please send me the link to where i can download the user manual.